It is important to be able to interact with your audience while you are live. To do this, most broadcasters will load their stream on another computer, phone, or tablet. This way, they can check on their comments when possible and respond to them while live. 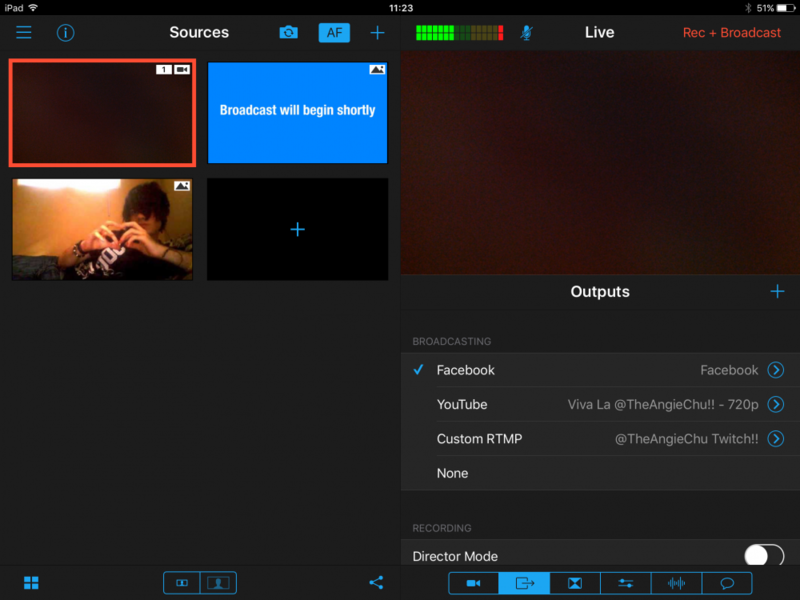 When streaming directly to Facebook from within the Switcher Studio app, you are able to see your stream's comments in real-time as they are posted. The comments are posted into the Reaction tab. This allows you to respond to your comments while live without having to use another source. Note that this feature is not yet available for iPads or iPhones running a version of Switcher Studio prior to version 3.3.0. This feature is also not yet available for other platforms, including Facebook RTMP input. How Do I Activate The Reactions Tab? When looking at your Switcher Studio interface, you will not see the Reactions tab by default. Notice that in this example, the user's Twitch tab has been selected. Since the Reactions tab is not yet available for Twitch comments, it is not shown inside the app. Now, the user has selected their Facebook feed. You'll notice that the picture in Step One showed five (5) tabs available at the bottom-right of the screen. By selecting "Facebook", there are now six (6) tabs showing. The very last tab is the Reactions tab. Its icon looks like a speech bubble. The Reactions tab appears by selecting Facebook as the output source.